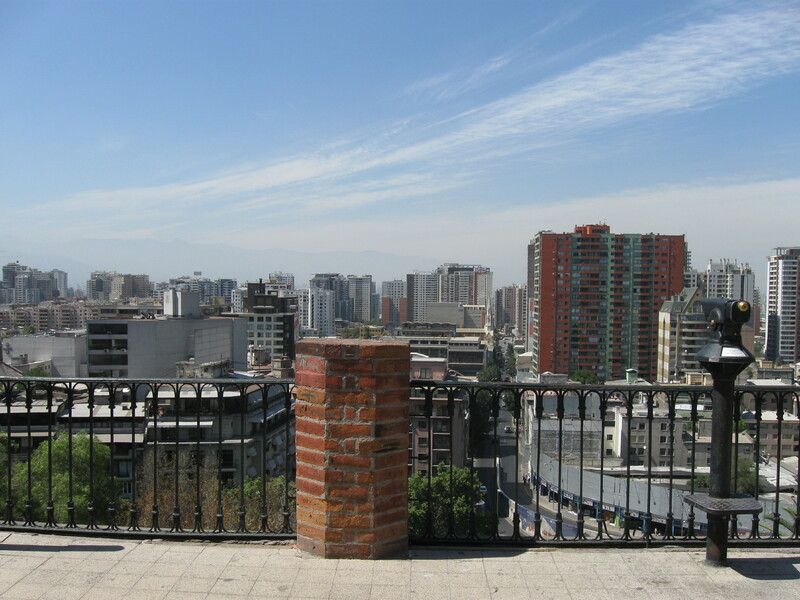 Thursday morning I was finally feeling well enough to venture downtown Santiago. Alina would of course show me around, I wasn’t adventurous enough to go on my own. We hopped on a bus (using our BIP! cards) and almost made it downtown before it pulled a u-turn. 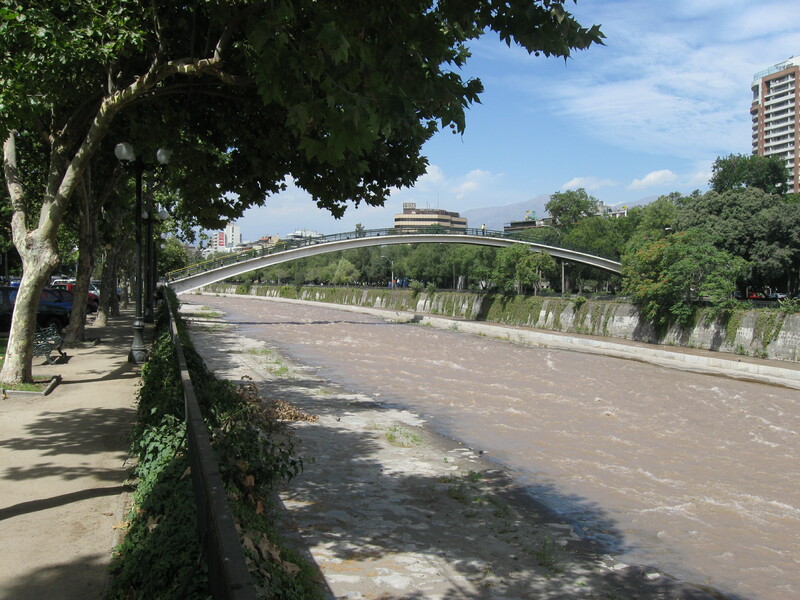 We where at Plaza Italia anyway, so we just got off and walked the rest of the way. Alina is a great tour guide and explained the history of all that around us, from pre-Columbian times to present. It’s too bad I forgot it all, but at time I found it very interesting. We weaved our way downtown between different construction projects and finally ended up at Santa Lucia. This is a rocky hill that rises above the rest of the city. It was turned into a park in 1872, but before that spent time as a fort, look out point, and a cemetery. Its filled with lots of beautiful fountains and old buildings. I think you can rent it out for special occasions like weddings too, which must be amazing at nighttime. We kept on climbing these amazingly sketchy stairs, with new levels of the park appearing every so often. There where lots of amazing views of the city pretty much everywhere. We eventually made it to the top and had a panoramic view of the city. I am still amazed at how slippery and dangerous the stairs going up where. I even slipped once or twice on the way down. Everything is made out of stone and has been worn slick by over a hundred years of use. We managed to survive and treated ourselves to some sort of local drink consisting of sweetened water, sun-dried peaches, and some sort of grains at the bottom. This is sort of an energy drink the locals use to stand 3pm lunches; it would prove a wise choice for us. 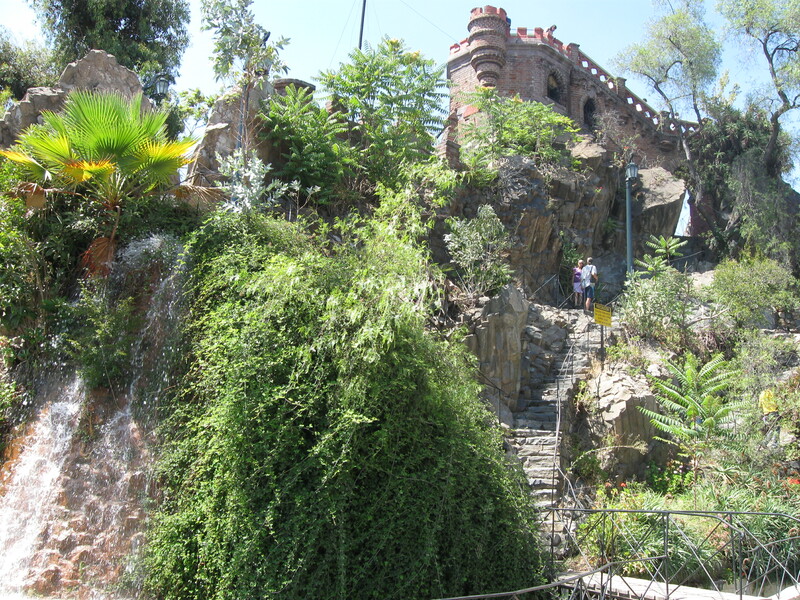 We sat next to a pretty waterfall with views of the top of Santa Lucia. 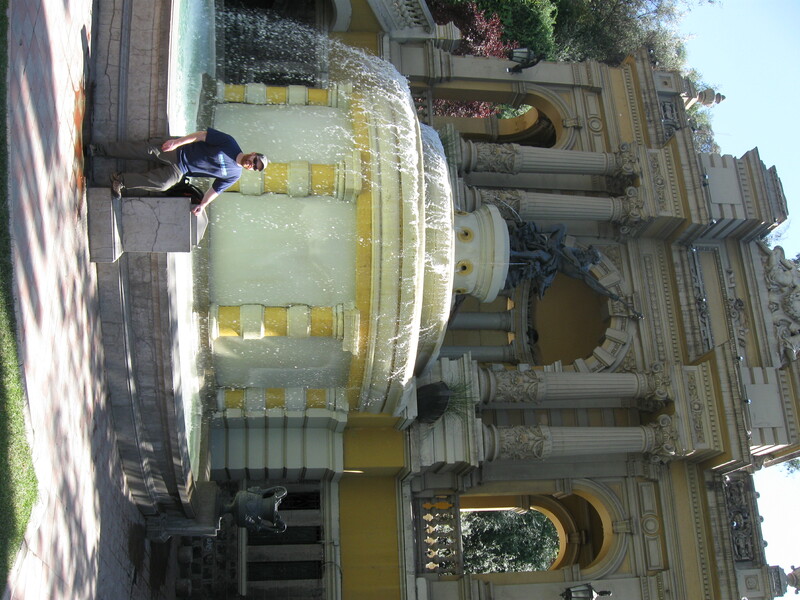 We then departed Santa Lucia and made our way to Placio de La Moneda, or mint palace. This is the presidential palace and was the site of a coup on September 11, 1973. It still serves as a government institution of some sort and also has an underground museum. Alina and I decided to check it out. For about $2 we got to see a special exhibit from the Ming dynasty, mostly the terra-cotta figures that surrounded the tomb of some emperor. It was fascinating, but also entirely in Spanish so I had to have Alina translate. No pictures in the exhibit, but I did my best to look like a stupid tourist outside. 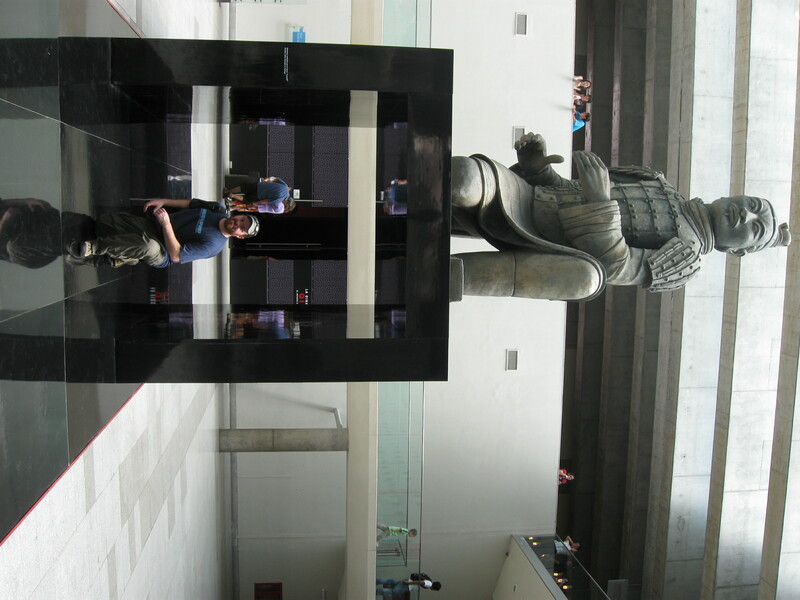 Ming Dynasty Statue. And Derek. 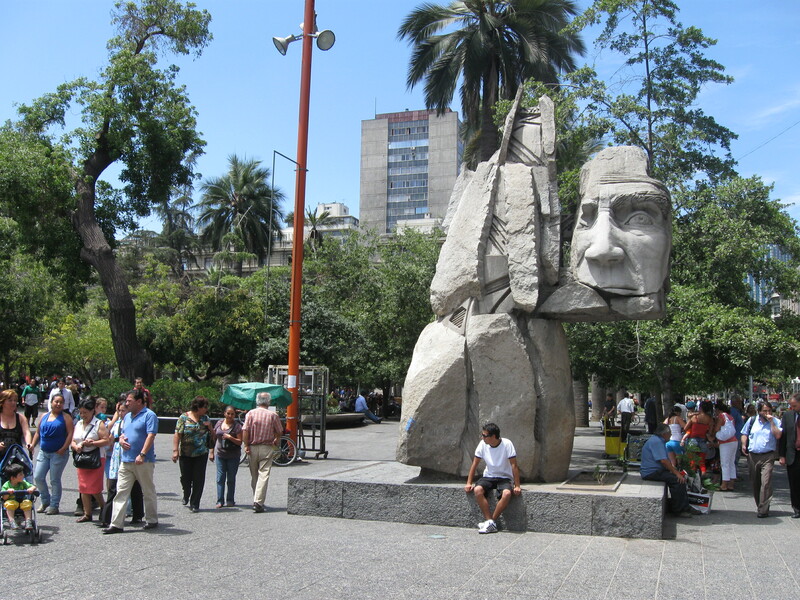 Our next stop was Plaza de Armas, which is where Santiago was founded and is still considered the heart of the city. Lots of people, street vendors, entertainers, tourists and weird statues. We didn’t stick around very long here, I was getting pretty hungry. Alina weaved here way through the streets and bridges and we made it to one of her favorite restaurants, of which I promptly forgot the name. I also forgot the name of the dish I had, but it was delicious and amazing. 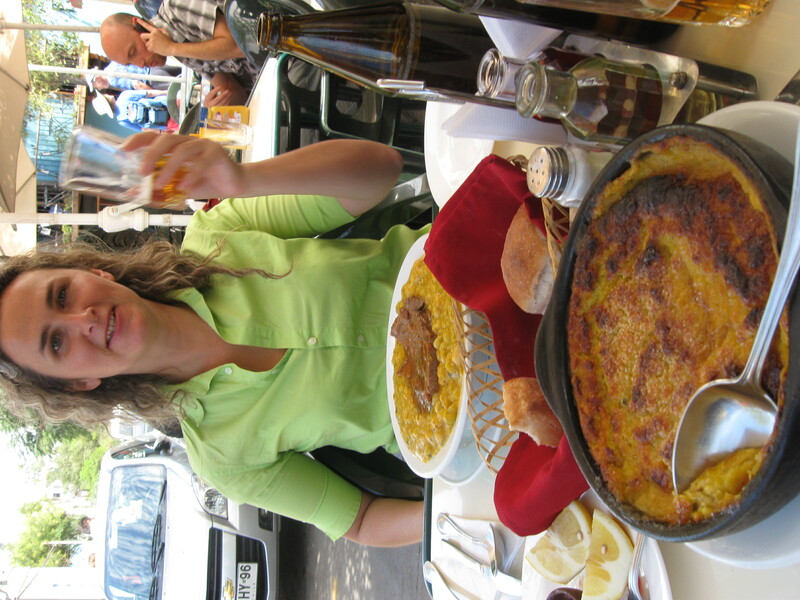 It consisted of large amounts of sweet corn (like cream corn, but better), chicken, beef, egg, and black olives. Great company, delicious food, and amazing weather. Thank you Santiago! We made it to a bus stop and Alina and I said goodbye. I survived my first bus trip alone and made it back to the hotel safe and sound. It was a good day. This entry was posted on February 6, 2010 at 7:50 pm and is filed under Uncategorized. You can follow any responses to this entry through the RSS 2.0 feed. You can leave a response, or trackback from your own site.